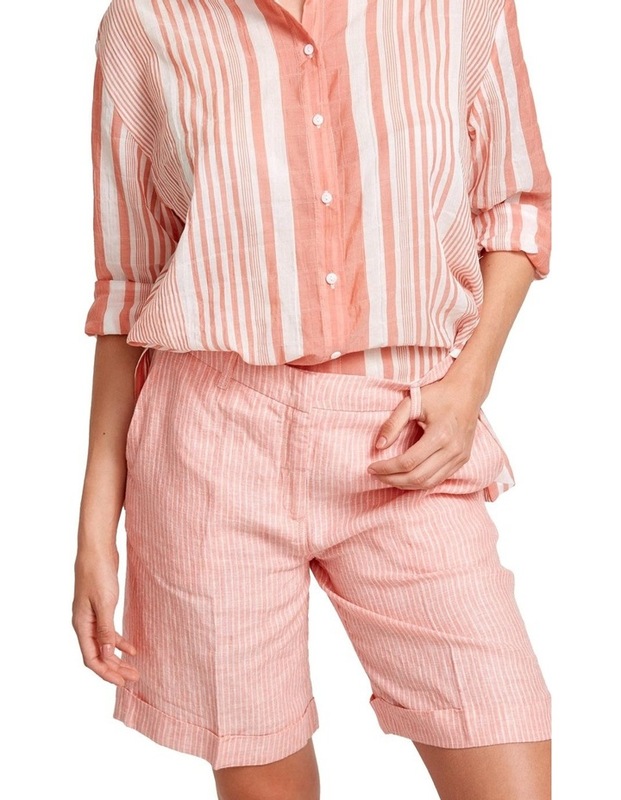 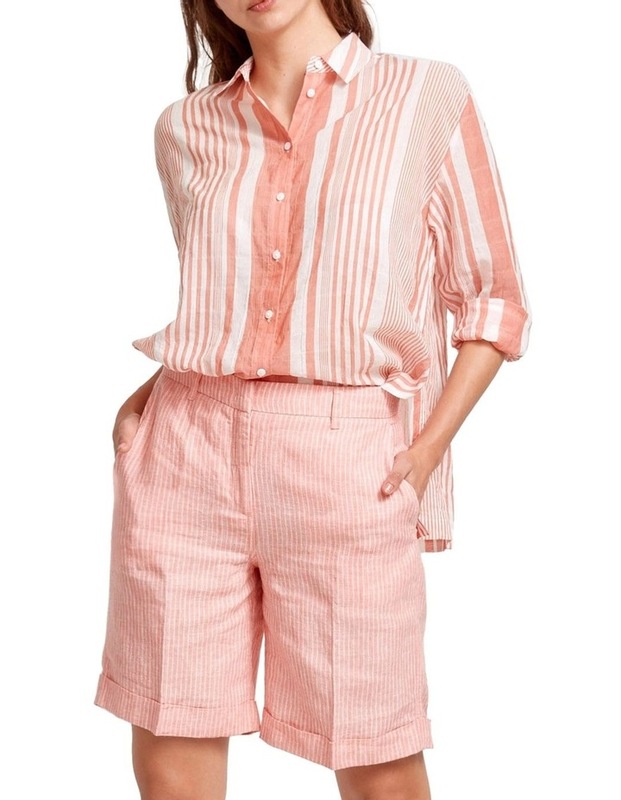 Our Coolum Stripe Linen Short in a fresh pop of guava with a double pinstripe and slimming high waist. 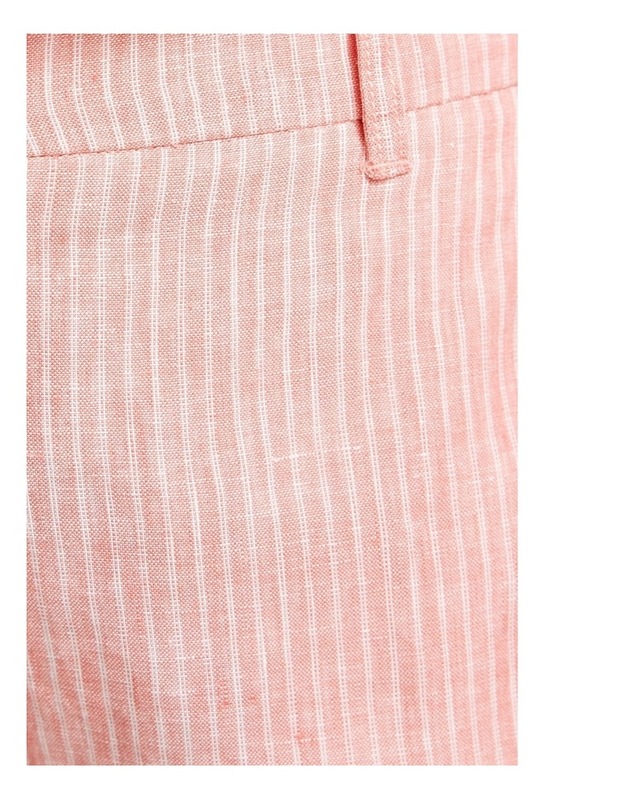 It features slant pockets and cuffed hems for a touch of considered detail. 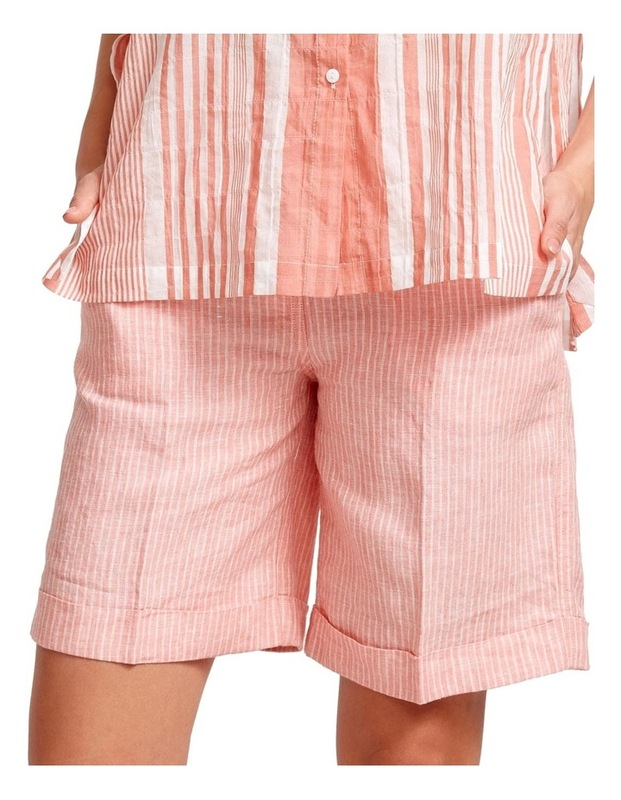 Our model is wearing a size 8/XS in our Coolum Stripe Linen Short. 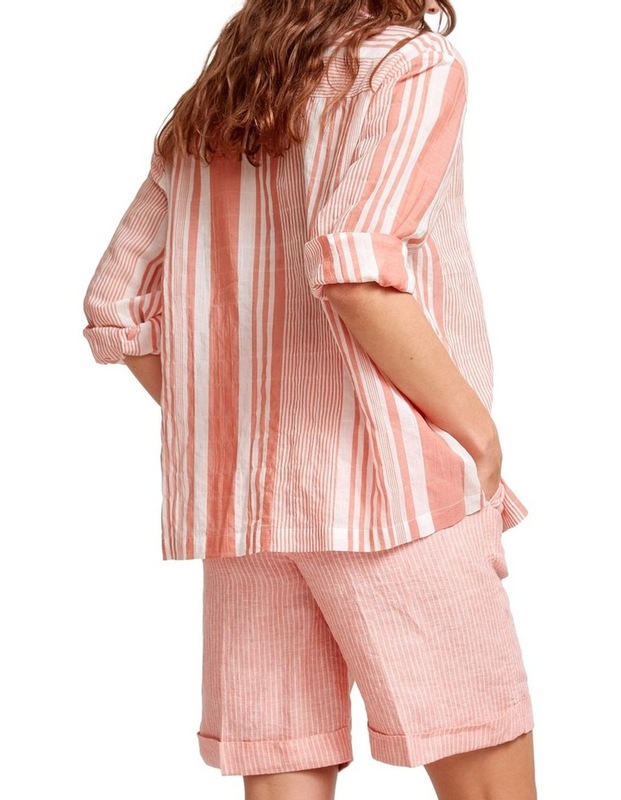 She usually takes a standard size 8 and is 174cm tall.